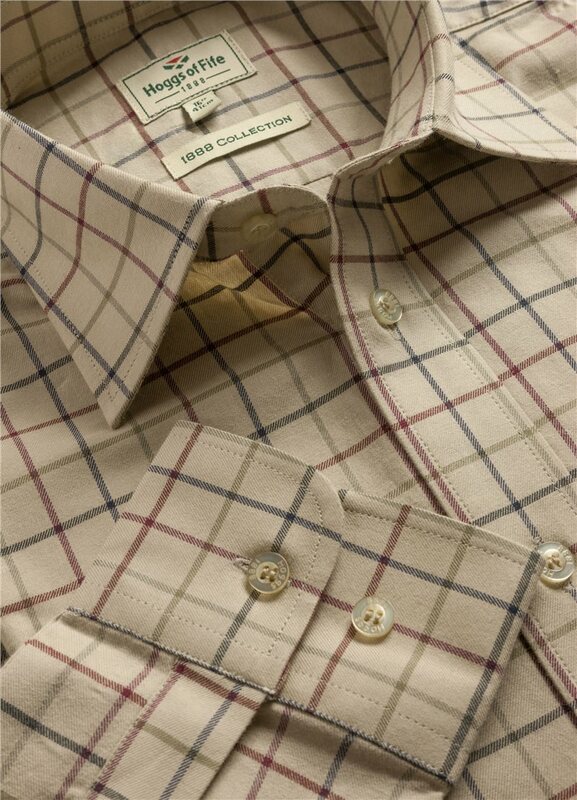 The Hoggs of Fife Chieftain tattersall shirt is a premier shirt made from 100% pure cotton twill fabric. This mens check shirt has been styled with the gentleman in mind. With a smart classic collar shape and fixed collar stiffeners, double-button interlined cuffs, split yoke to shoulders and 2 rear pleats for a lovely tailored fit. Plus with an extra long drop tail, you know this shirt will stay tucked in!